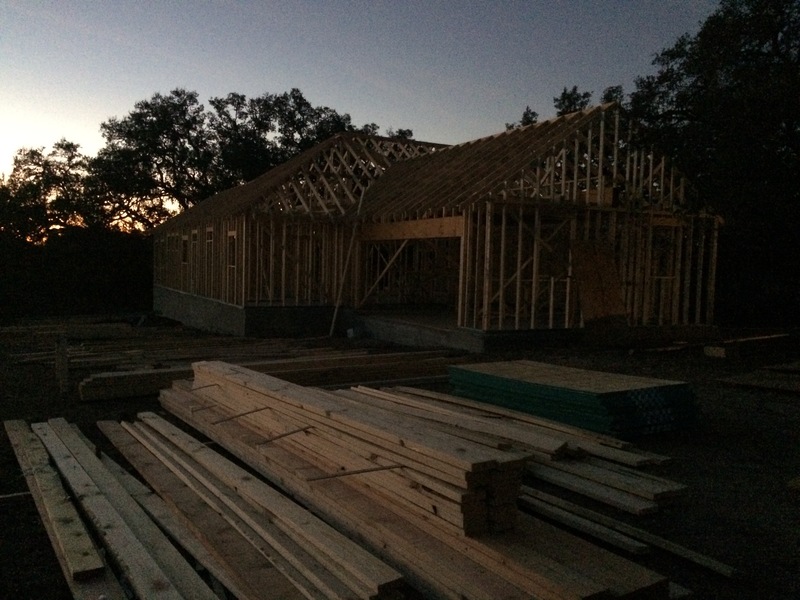 ← Building Oak Haven – framing! Its amazing how quickly the framers work. Last week we had a few walls, this week, we have what looks like a house. We’re able to walk around the inside, see the rooms and visualize what they will soon look like. 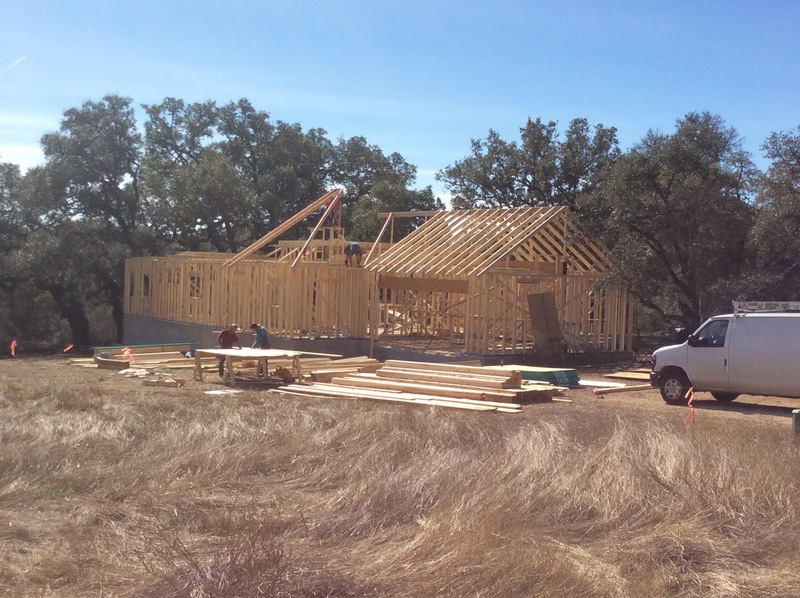 We’ve received a couple more loads from 84 Lumber and the crew from Chavez Construction continue to create a house. It’s amazing to watch our sketches-on-paper turn into reality. I love the view from my study window, the corner where my desk will sit. May it provide much inspiration as I write what the Lord puts on my heart. While the framers are hard at work, we are too. A home stager and photographer are scheduled for the end of the month and our house should go on the market early March. We’ve been busy packing boxes and hauling them to our storage unit. We’ll soon start putting some of our furniture in storage. Pieces that I love, but they make our current home look a bit crowded and need to be cleared out for showing. We took samples of knotty alder and pine to Sherwin Williams and Casey, a sales associate, stained them in four different colors for us. The knotty alder (to be used for our cabinets and exterior doors) is beautiful in every color. We’re leaning toward the burnished walnut, which ties our various pieces of wood furniture together. The pine (to be used for our interior doors), however is a bit trickier. We’re not thrilled with how the stain colors look on it. I’ve heard/read pine can be challenging to stain. I’m not sure if it’s the cut of wood we used (lower quality) or the colors we selected. Before we moved out of our house in MS, I stained a glass paneled door to replace the one leading to our sunroom and to match the double doors to our study. It turned out beautiful and I’m betting it was a pine door. Maybe I knew too little to mess it up? We’ll try a few more things and a few more colors. The other option is painted Masonite doors (in anything but white!) Maybe we can find a happy medium with the two choices. Jon and I have spent a couple of nights at the camper this week, something quite familiar to us over the past eight years. It’s our home away from home. Wednesday night, we walked around Oak Haven by the light of the full moon. The pale moon light spilling through the rafters gave the great room a magical feel. The next morning, we both had places to go, so we were up early and heading our separate ways. I paused for a moment to get a picture of the pre dawn glow. We received an additionally blessing today. Mom was able to have her ventilator removed and is now breathing with the assistance of a cpap machine. Since she tends toward claustrophobia, this is a huge step for her. Please pray for her lungs to continue to gain strength in order to breathe on her own. God is good and we continue to look to Him in all things. 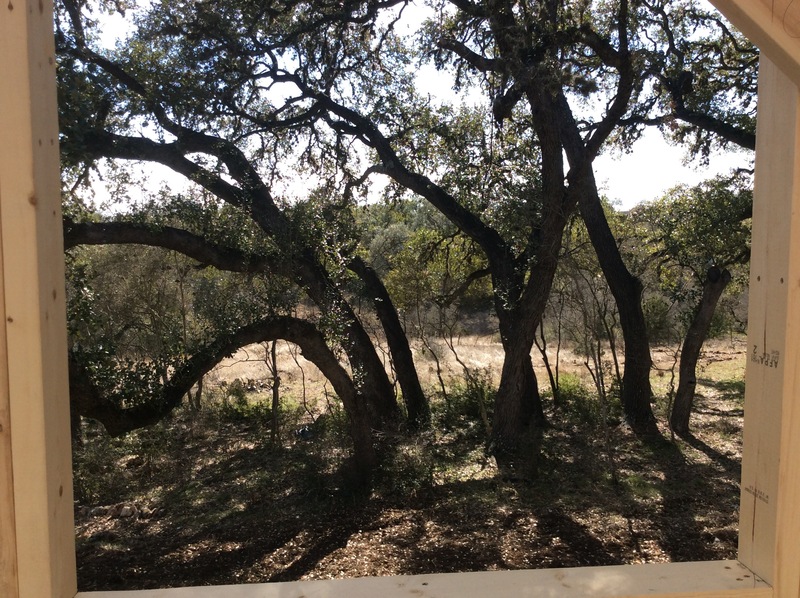 This entry was posted in Hill Country Living and tagged 84 Lumber, Chavez Construction, Country Living, River Chase, Sherwin Williams, Texas Hilll Country, UBuild It. Bookmark the permalink.